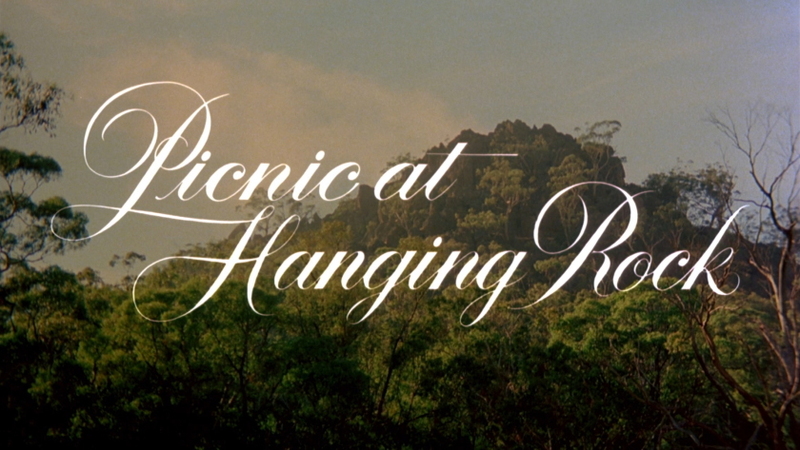 Twenty years after it swept Australia into the international film spotlight, Peter Weir's stunning 1975 masterpiece remains as ineffable as the unanswerable mystery at its core. 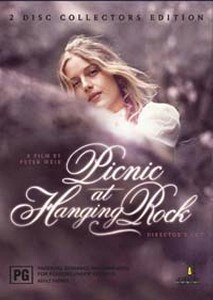 A Valentine's Day picnic at an ancient volcanic outcropping turns to disaster for the residents of Mrs. Appleyard's school when a few young girls inexplicably vanish on Hanging Rock. 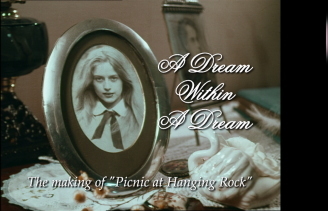 A lyrical, meditative film charged with suppressed longings. 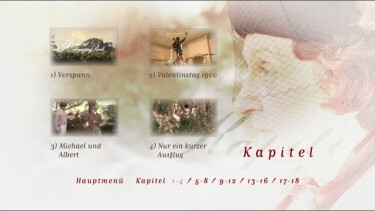 Big thanks to Steffen Bieker for the Kinowelt DVD screen captures! 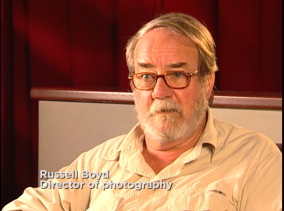 An All New Feature Length Documentary On The Making Of The Film Featuring Exclusive • Interviews With Peter Weir, Patricia Lovell, Hal & Jim Mcelroy, Cliff Green, Russell Boyd, Bruce Smeaton, Jose Perez, Helen Morse, John Jarratt, Christine Schuler And Anne Louise Lambert. 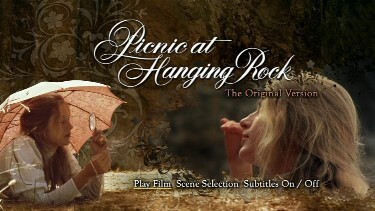 • "A Recollection: Hanging Rock 1900" (duration 25 Mins). 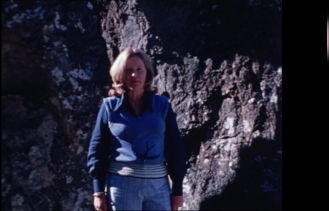 A 1975 On-set Documentary Produced And Presented By Patricia Lovell Which Includes Interviews With Author Joan Lindsay, Director Peter Weir, And Key Cast Members Including Rachel Roberts. 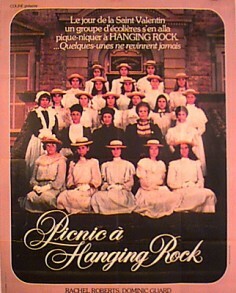 • Excerpts From An Interview Conducted With Author Joan Lindsay In 1974 In Which She Provides An Insight Into The Writing And Essence Of The Novel, "picnic At Hanging Rock". 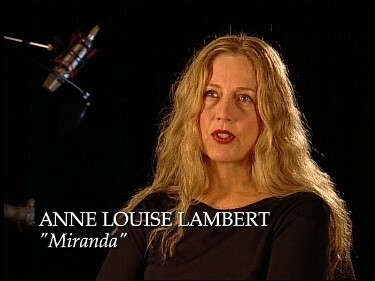 • Short Recollections - Audio Interviews With Actors Dominic Guard (michael) And Karen Robson (irma). 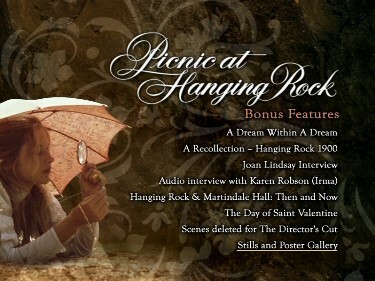 • "Hanging Rock & Martindale Hall: Then And Now". 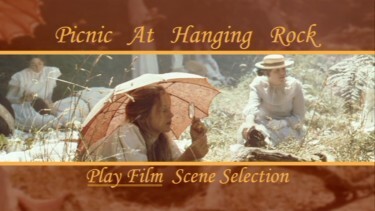 • A Tour Of The Film's Two Principal Locations. 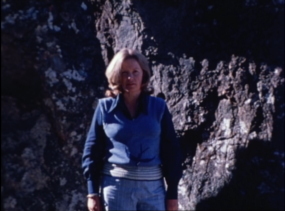 • Australian Trailer, Cannes Promo Reel And Double Feature Trailers. 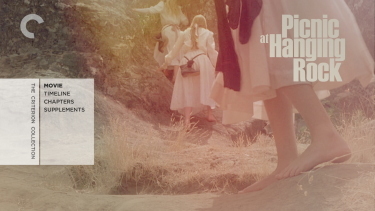 • Still And Poster Gallery - An Extensive Library Of Images Accompanied By An Excerpt Of The Novel Read By Actress Helen Morse. 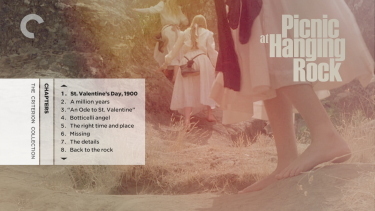 • The Day Of Saint Valentine - The First Screen Adaptation Of Joan's Novel Made In 1969 By 13 Year Old Schoolboy, Tony Ingram With Commentary From The Director. • PLUS: A booklet featuring an essay by author Megan Abbott and an excerpt from film scholar Marek Haltof’s 1996 book Peter Weir: When Cultures Collide (dual-format only); a new paperback edition of Lindsay’s novel, previously out of print in the U.S.
Criterion include an extended, 25-minute, interview with Weir from 2003 where he discusses the production and enduring mystery of Picnic at Hanging Rock. 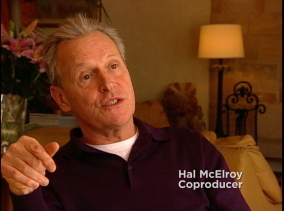 There is a new piece on the making of the film, featuring interviews from 2003 with executive producer Patricia Lovell, producers Hal McElroy and Jim McElroy, and cast members. It runs over 1/2 an hour. Plus there is a new, 10-minute, introduction by film scholar David Thomson, author of The New Biographical Dictionary of Film. A Recollection . . . 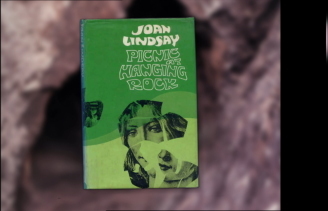 Hanging Rock 1900 is an on-set documentary, from 1975, hosted by Lovell and featuring interviews with Weir, actor Rachel Roberts, and source novel author Joan Lindsay. It runs 26-minutes but the source is not in ideal condition. 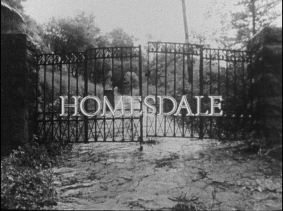 Homesdale is an award-winning, 50-minute, black comedy by Weir made in 1971, described as "Guests arrive at an expensive private guest house on a remote island near Sydney. 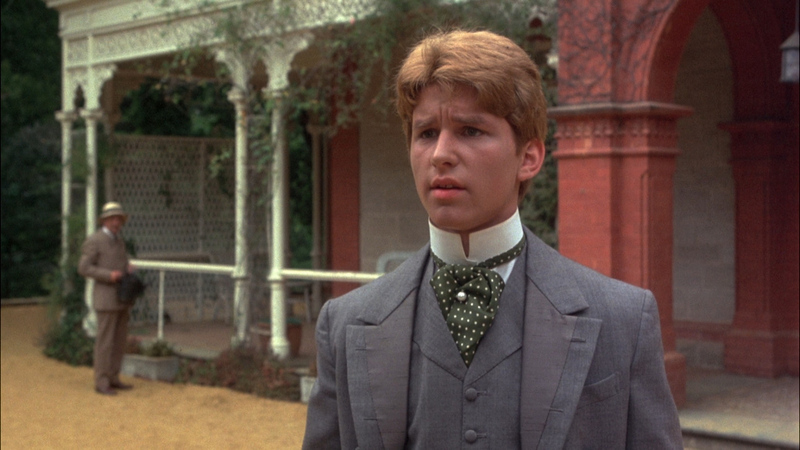 The guest house and weird activities, like theatre sports and orienteering, are run by a leery eccentric. One of the guests is a loner and the only way to fit in with the crowd is to participate in the questionable events. Some of the games border between comedy and horror - like the murder mystery" There is a long 4.5-minute trailer (also in less than ideal condition) and the package contains a booklet featuring an essay by author Megan Abbott and an excerpt from film scholar Marek Haltof’s 1996 book Peter Weir: When Cultures Collide and a new paperback edition of Lindsay’s novel, previously out of print in the U.S. 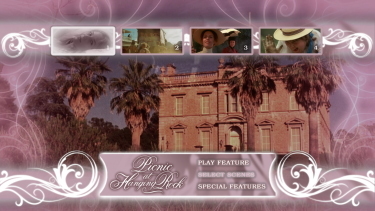 This is a dual-format set with 2 DVDs of the feature and all the extras of the Blu-ray. 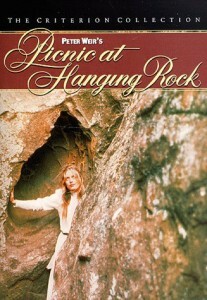 Must-own film. 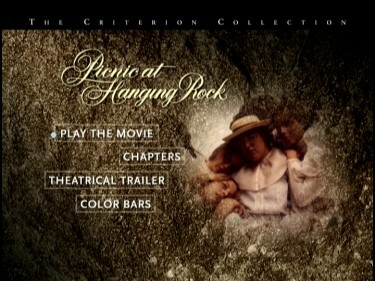 Criterion's Blu-ray Digipak package is gorgeous. 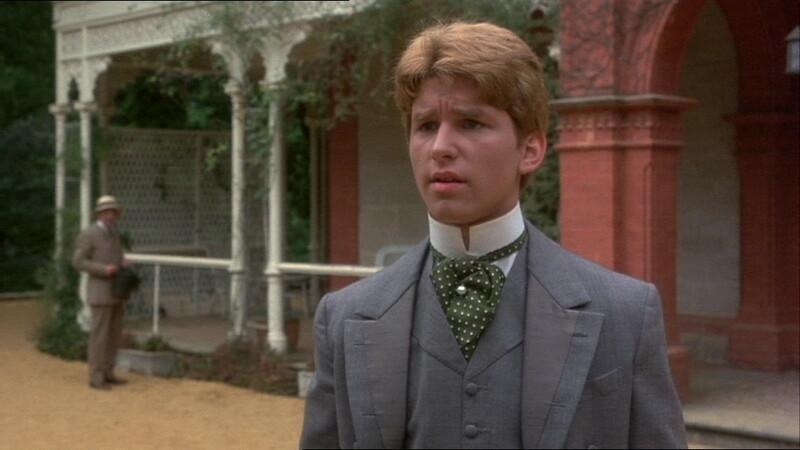 NOTE: I cannot seem to duplicate the perceived 'flaw' on other systems - we will post new screen captures soon. May 17th - NEW Captures added - image is clean of perceived contrast flare-up! Aside from that - visually, it is indeed the best release being tighter and more detailed filling the screen at a 1.78 aspect ratio. 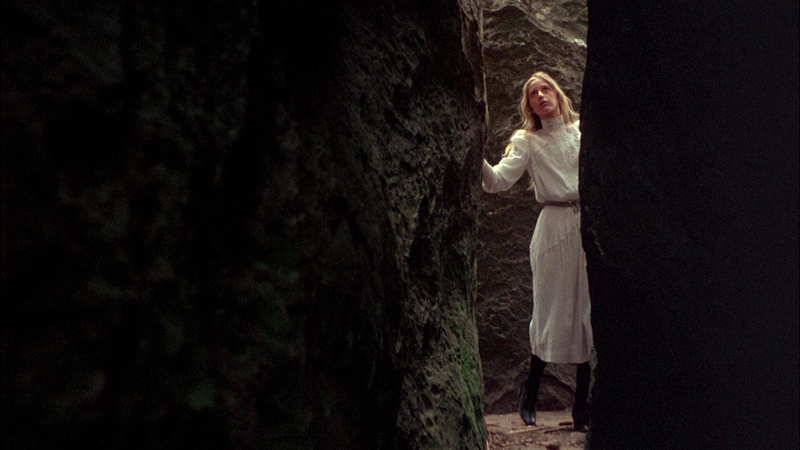 It was easily noticeable from the first scene as as the audio - traditional Romanian panpipe pieces as the main title music, which plays an enormous role in instilling the haunting atmosphere. It come from "Doina: Sus Pe Culmea Dealului" and "Doina Lui Petru Unc" with Gheorghe Zamfir on pan flute and Swiss born Marcel Cellier playing organ. It sounds wonderful via the lossless Dolby TrueHD 5.1 at 3254 kbps. There are no subtitles. 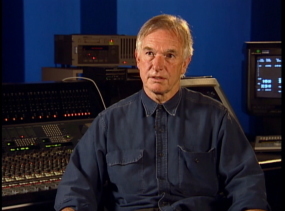 Extras are excellent with "A Dream Within A Dream" the Feature Length (almost 2 hours) Documentary on The Making Of The Film featuring exclusive Interviews With Peter Weir, Patricia Lovell, Hal & Jim Mcelroy, Cliff Green, Russell Boyd, Bruce Smeaton, Jose Perez, Helen Morse, John Jarratt, Christine Schuler And Anne Louise Lambert. 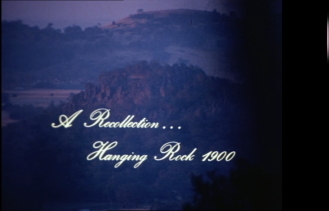 Also "A Recollection: Hanging Rock 1900" (duration 25 Mins) - a 1975 On-set Documentary Produced And Presented By Patricia Lovell Which Includes Interviews With Author Joan Lindsay, Director Peter Weir, And Key Cast Members Including Rachel Roberts and a theatrical trailer. All supplements are in HD and play on my region 'A' North American' Oppo Blu-ray player. 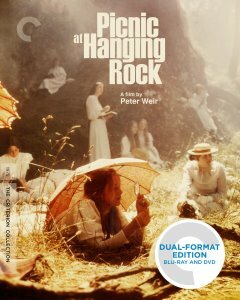 This is a good release but beware that Second Sight in the UK are coming out with their Blu-ray of Picnic at Hanging Rock HERE and we will compare. 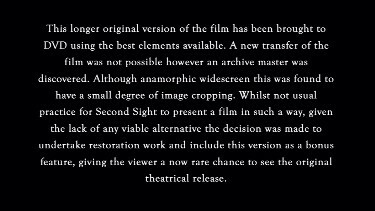 ADDITION: Second Sight (3-disc) - Region 2- PAL - July 08': Firstly - to back track - There was another Umbrella edition (Australia) that was anamorphic (not shown in this comparison - but purchasable HERE. As Eric tells us "Umbrella Anamorphic 1.78:1 reissue has 5.1 sound. 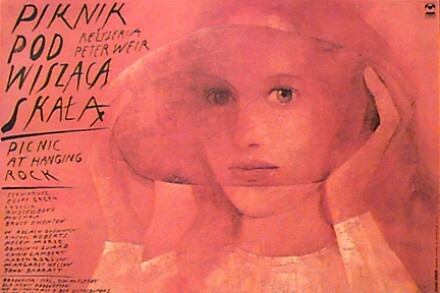 The reissue has the same cover as the original Umbrella release. The only way to tell the difference between the reissue and the older version is the gold "remastered" sticker on the shrink-wrap and the 16:9 and 5.1 information on the DVD specs on the back cover. 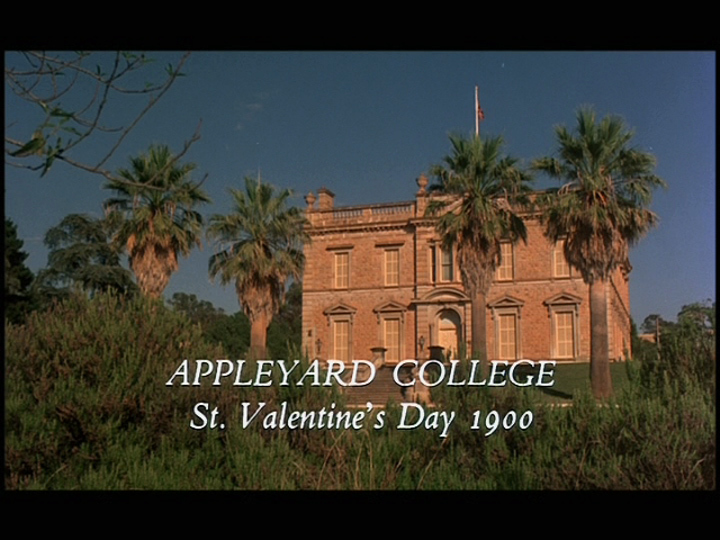 The anamorphic reissue seems to have used the same source as the original non-anamorphic source (though newly transferred as there does not seem to be any artifacts that might crop up from making a 4:3 letterboxed transfer anamorphic). 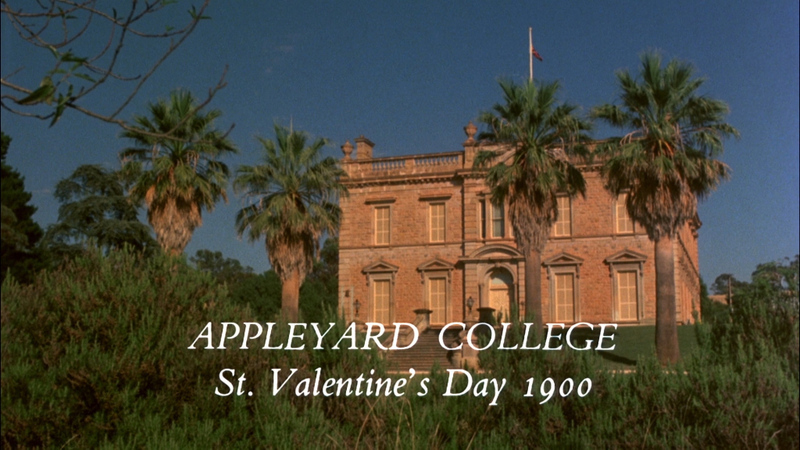 The image looks pretty much the same despite the reissue's minutely higher bitrate. 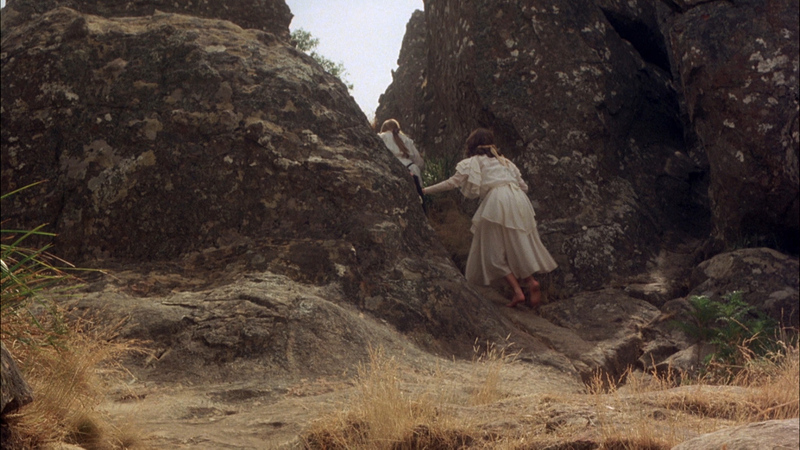 Criterion's non-anamorphic transfer is still the sharpest and the only one in its original aspect ratio (though that seems to be a subject of debate).". I strongly suspect the Second Sight using those 16X9 elements and many of the supplements are the same. 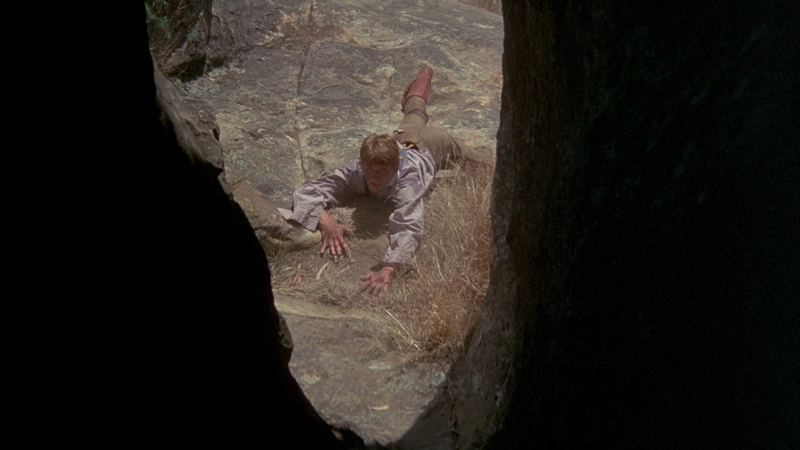 Well, to my eye this new Second Sight, anamorphic, dual-layered, progressive transfer looks as good, even possibly slightly better, than all other editions. 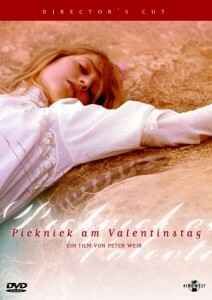 It seems extremely close (if not exact) to the stellar German Kinowelt release. But there are some real viable reasons for buying this UK edition. The extras (discussed below) and they actually include the longer theatrical cut giving many fans this rare chance to see it after all these years. Unfortunately the condition is quite poor, and it is cropped, and we have added to full resolution screen caps at the very bottom of this comparison. Still, I was extremely happy to finally see it. 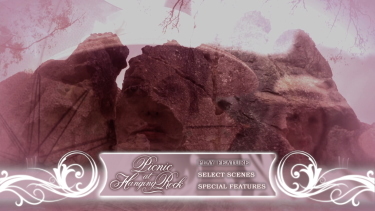 The 'Director's Cut' on disc on has English 2.0 and an option for 5.1 as well as optional English subtitles. Bravo on all fronts. 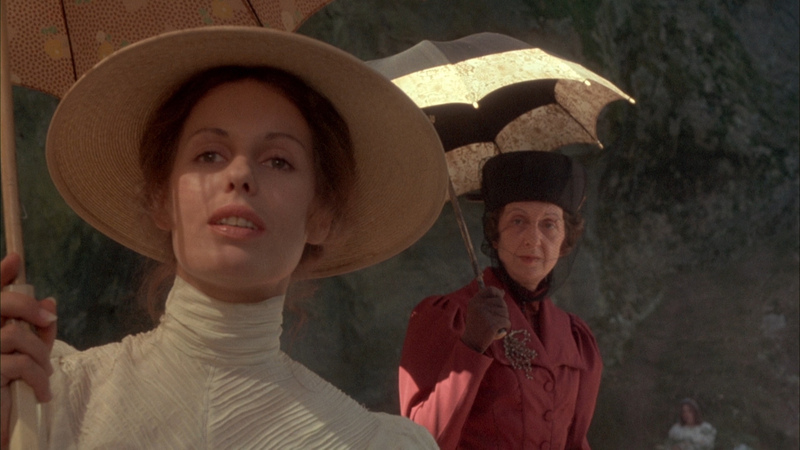 Extras, for the most part duplicate most of the wonderful supplements on the Umbrella release. 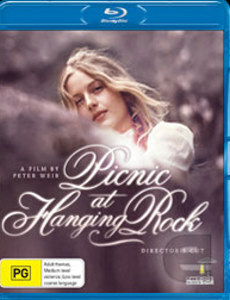 They are on a third disc (also dual-layered) and include the 2 hour documentary ‘A Dream Within A Dream’, ‘A Recollection – Hanging Rock 1900’, a Joan Lindsay interview, 'Hanging Rock and Martindale Hall – Then and Now’, ‘The Day of St Valentine’ (1st screen adaptation), Audio Interviews, Stills and Poster Gallery and 8 minutes 25 seconds of curious director’s cut deleted scenes. Until this comes to Blu-ray (no, I have heard nothing of the sort) this Second Sight is the package to own for fans of this incredibly haunting film. 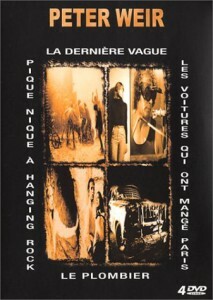 ADDITION: Umbrella Entertainment - PAL (October 2004) - Well this is probably the only film I will have 5 different DVD editions of. Phew.... the Umbrella Region 0 - PAL DVD from Australia has some good points... and some bad. 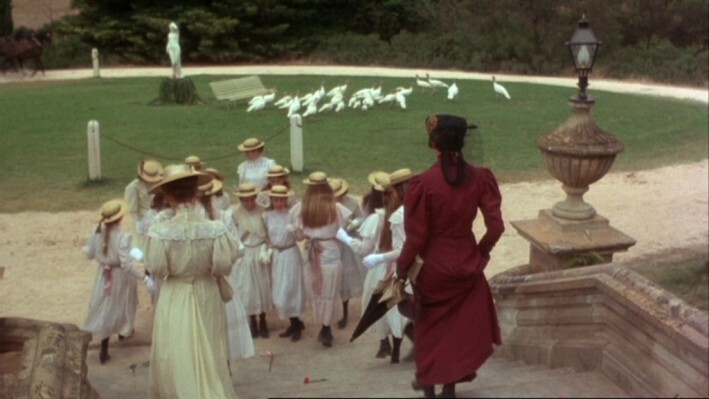 On the positive side the Extras are magnificent ! 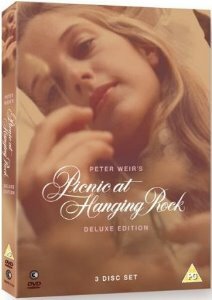 The second disc blows away all other versions and Weir fans will, for this alone, make it a must-have DVD. The animated menus are incredible - some of the best I have seen- ever. Packaging likewise is classic - a perfect keepsake. This is, as all others, the 'directors cut'. Now the bad - why is this disc not anamorphic? 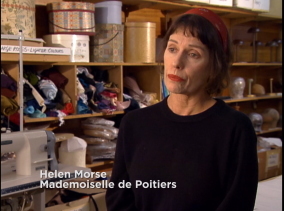 and why are there no subtitles ? 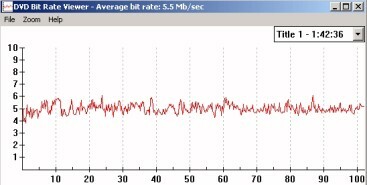 I found the audio clear but seemed to fluctuate in volume level at times - kind of unusual. The ratio is 1.77 keeping the Criterion as the only issue at 1.66 - thereby showing the most information in the frame (Go Criterion!). 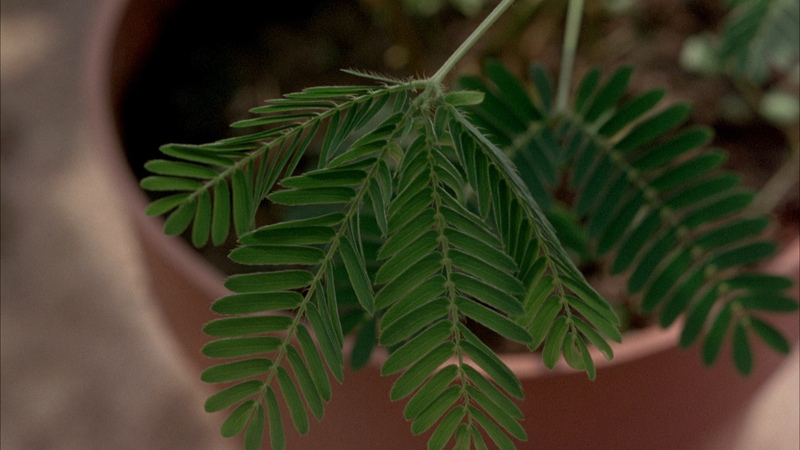 Why is this 1.77 and not anamorphic ? there is no reason not to adhere to the correct aspect ratio in this case. We give some leeway for 16X9'ing, but this is not right. As far as image goes - this is very good on tube - amazing actually - but falls short in sharpness next to the Criterion. I think the colors may be a shade more vibrant in this Umbrella issue. 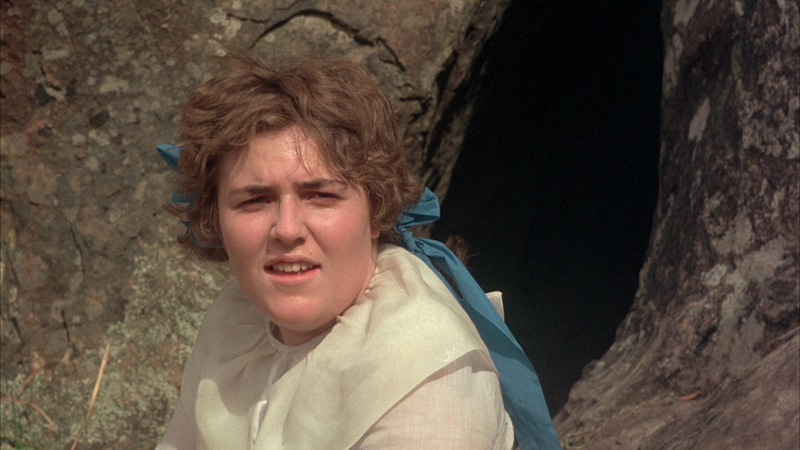 Bottom line: There is a very good reason to pick this up - those amazing extras! 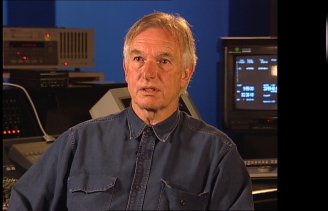 and if you don't own the Criterion or a projection system - you will be content with the image quality - guaranteed. 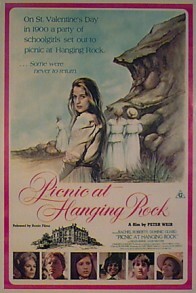 In 1998 Peter Weir band Producer Patricia Lovell decided to offer a 'directors cut' of his theatrical film "Picnic at Hanging Rock'. They both agreed that certain original scenes were not to their liking. 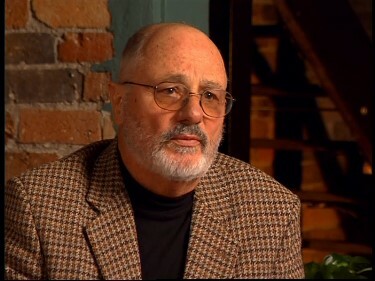 This consisted of about 14 minutes that the production company thought would help ticket sales at the time of release. 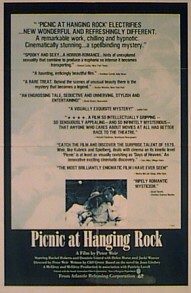 Most of the scenes that Weir and Lovell removed were in the last 1/3 of the film. 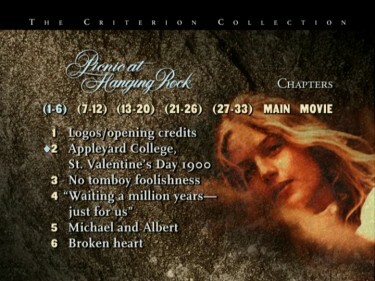 Each of these above DVD releases represents the 'director's version' or 'cut version' of the film. 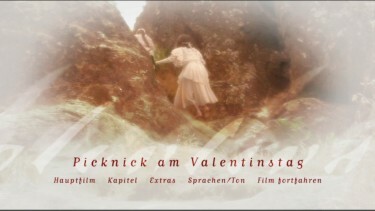 The German Kinowelt actually offers the additional footage as "deleted scenes" in their extra features. 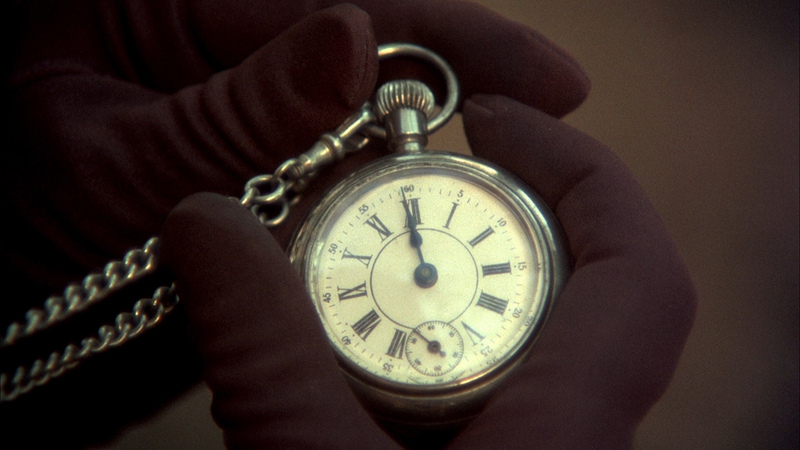 Okay, the Criterion is the only one of the four that is in the original aspect ratio of 1.66:1. The others have been slightly cropped to fit a 16X9 anamorphic screen. I really don't understand this as you can have 1.66 anamorphic images. 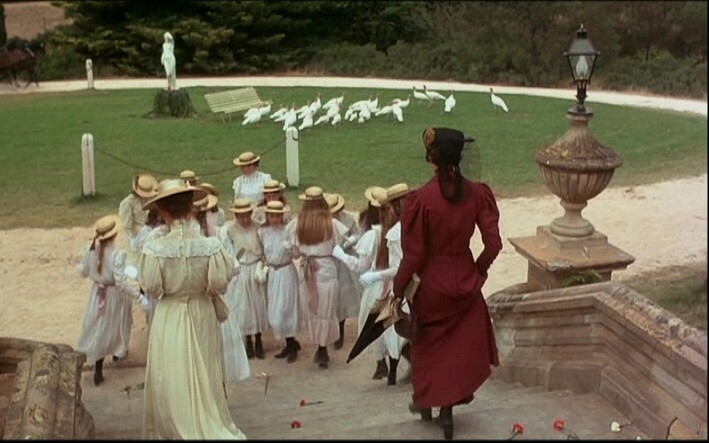 And the Criterion is the only one of the four that is not anamorphic. However, if you do not have a widescreen system it is the best image. 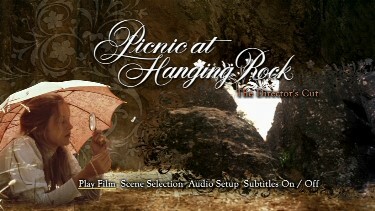 For widescreen viewing (HTPC, widescreen TV etc.) 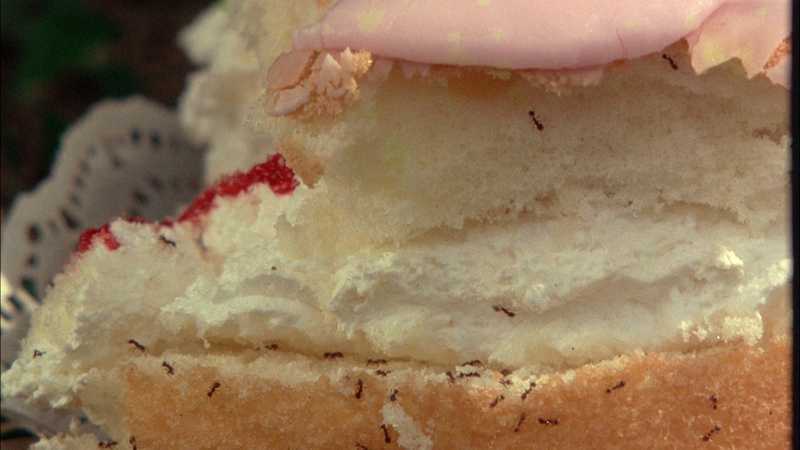 The Kinowelt is the best. Colors are pretty consistent in all 4 releases. 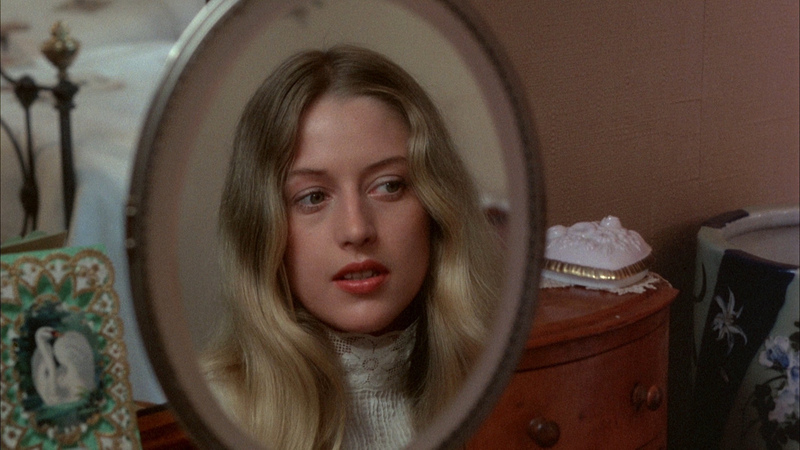 The Criterion remastered 5.1 audio is the best- even superior to the Kinowelt 5.1audio. Audio is such a large part of this film that this is a paramount criteria for purchase. 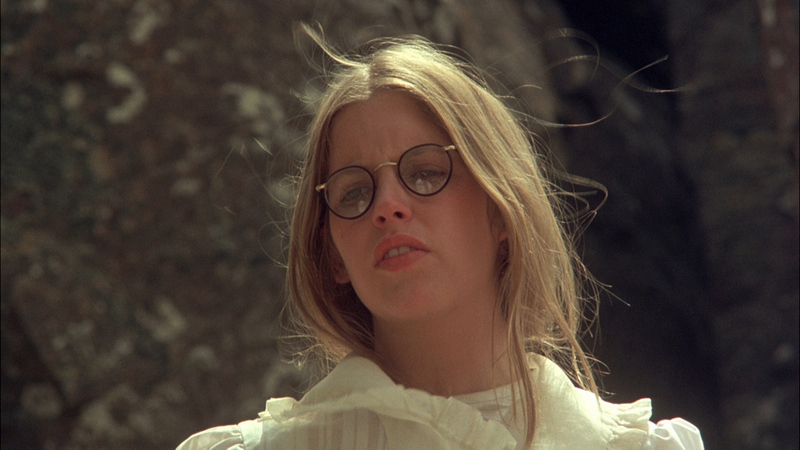 The Kinowelt is marvelous, but I thought the Criterion was even better (range). The Gaumont and Pathe 2.0 were very flat in comparison. Extras are a tie. 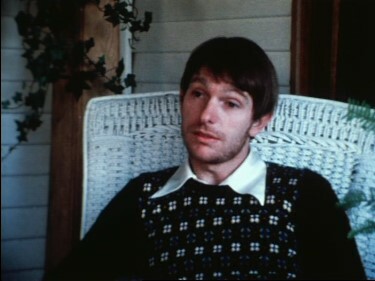 I couldn't decide between the invaluable 14 removed minutes on the Kinowelt DVD of the extras (called 'deleted scenes'), or the interview and shorts on the Gaumont. NOTE: On my rear projection TV the French version looks great, but it has some quirks with my Malata Region Free player. It jitters unless you put it in 'still mode' and then it shimmers (strobs). No winning. It need filters on an HTPC setup for optimum viewing. 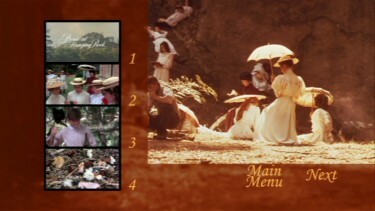 The DVD Menus open to beyond the frame of the TV (is this anamorphic 'on the fly'?). 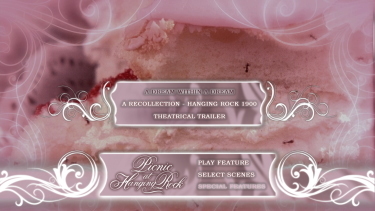 NATIVE DVD RESOLUTION - Notice font difference!